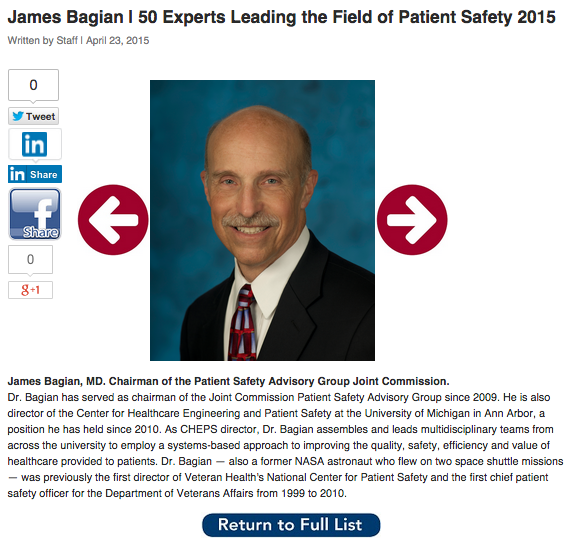 Becker's Hospital Review is pleased to announce the 2015 edition of its list of "50 Experts Leading the Field of Patient Safety." This list consists of advocates, professors, researchers, administrators and healthcare providers who have won awards, published articles, spoken out and led initiatives to reduce patient harm and ensure safety in the industry. The Becker's editorial team considered nominations and selected leaders for this list through an editorial review process.